The Paynes is an American 30 minute scripted comedy television series, which kicked off on January 16, 2018, on Oprah Winfrey Network and is broadcast every Friday at 21:00. The show is currently in its 1st season. 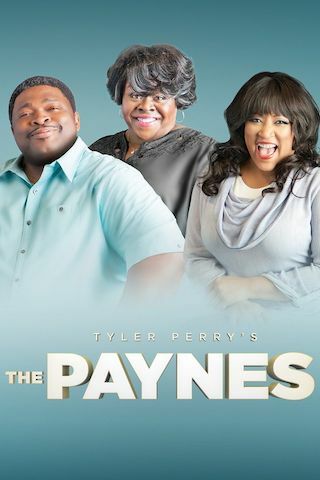 Oprah Winfrey Network is yet to announce the renewal of The Paynes for Season 2 as well as its cancelation. Sign up to track down the show's status and its release date. After years of raising their family in Atlanta, Ella and Curtis enter their retirement years. At a time when most couples are slowing down, Curtis decides it's time to mix things up with a change of scenery. Thus, in Curtis Payne fashion, Curtis puts the wheels in motion for an epic move, but he forgets one important detail consulting his wife. Nevertheless, Curtis and Ella take a trip to the fictitious town of Sun Coast, Florida to attend the funeral of Curtis' Uncle Robert. Unknown to Ella, this trip will plant them in Sun Coast longer than most people would delight. It is with this modest backdrop that Ella and Curtis begin a new life, in a new community, in a new church, and with new unfamiliar family members. As Ella's nightmare seems to never end she finds she has a new home, a new business, and a new set of people who need her motherly love. In this lower middle class community, Curtis and Ella become community and church members whose integrity begin to influence everyone around them for the better. With Curtis it is always tough love, and with Ella it is the love that only a nurturer can muster. Once again, Curtis and Ella fight to spread nothing but joy through every life altering challenge thrown their way.